According to recent research, around 80 percent of all retail purchases are made on impulse. In brick-and-mortar stores, this percentage has risen sharply in recent years — thanks to the functionality and speed offered by online shopping. To succeed on the High Street or in out of town shopping developments these days, your store has to inspire impulse purchases subtly. 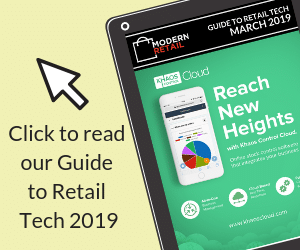 Thankfully, there are six tried-and-tested tools that make this objective relatively easy to achieve — with the expert help of visual merchandising specialists. Tables and islands allow you to present anything from sweaters to books in an eye-catching highly visible way. Products that are displayed at waist height are easy to see and handle, and they grab the attention of shoppers in a way rails and shelving can’t. Ideally, choose products to display on your tables and islands that are likely to prompt spur-of-the-moment purchases. Both sale items and your premium products can be promoted using a neat and well thought out table display. Once a customer reaches your ePOS area, they’re obviously in a buying mood. Not only have they been inspired to buy something, they also have their method of payment ready. This is the perfect time to sell them smaller, cheaper products that complement their main purchases. A countertop or freestanding point of sale display grabs the attention of buyers and displays impulse purchases in a tidy and impactful way. Nothing draws the attention of shoppers to specific products like effective signage. The right font, colour combination and message can grab the attention of consumers and solicit purchases that may never have otherwise been made. But it’s important to position signage according to the customer journey. And when it comes to instore messages, less is definitely more. In the past, retailers have viewed retail in binary terms: it’s either online or offline. But more and more shop owners are coming to the conclusion that it’s a bit of both. The latest technology can be used to enhance the in-store shopping experience — giving customers access to more information than ever before. One way you can achieve this is with the use of tablet computers. Complement your sales displays with interactive POS that includes quality images, product information and availability. It’s very difficult for customers to assess an item of clothing if it’s folded away or on a hanger. While mannequins have had their critics in recent years, they serve an important purpose for fashion retailers. They demonstrate how clothes “hang” on the body, and when used in context they create a story that is perfect for prompting impulse purchases. It’s important not to stuff your store with mannequins, however. Use them sparingly and in the right places, and clear excess stock from the shop floor if necessary. Visual merchandising is all about telling customers a story. By showing how your products can enhance the lives of ordinary people in ordinary situations, you can plant a powerful image in the head of the average shopper. For example, by depicting a family breakfast table you can showcase a range of products, including dining tables, crockery, tablecloths and cutlery. It’s important not to stuff your store with too many visual merchandising props. But a few here and there can tell a story that persuades your customers to make valuable impulse purchases.